There is a driving force behind every media and technology user. One force that has risen to extraordinary heights is the blog. It ventured where no other form of media has dared entered and made its mark as a writing form that will not be ignored. Media has traditionally been a driving force in people’s action. With the advent of new and innovative technology, these two have been jointly breaking grounds to make the user experience more productive and positive. Media in all its forms has recognized that they cannot afford to be left behind in terms of technological development both in presentation and operation. A lot of companies have discovered the wealth of opportunities that lie in keeping up with current trends. In the online world, there is probably no trend or development yet that has surpassed the rise of the blogs in creating authority and driving audience action. A good example of this is the Media and Technology Blogging Scholarship Contest by Direct2TV. Clearly, blogging has been recognized as an effective means to attain objectives. It is made more relevant when the blogging platform is used to create awareness of opportunities and possibilities. Blogs have been acknowledged as one of the more potent means of wielding influence. Before this can happen though, blogs have to establish relevance, credibility, and quality. Once these are established however, everything usually falls into place. Power does not come overnight. It comes with much hard work and determination. It comes only to those that deserve it. To create a powerful blog, owners must be able to adapt their blogs to the innovations happening simultaneously in all media and technology fronts. 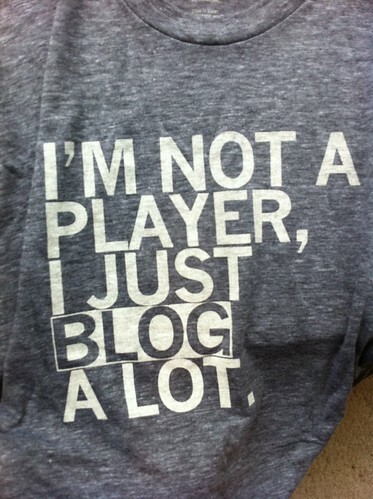 Blogs are not meant to be created and then left behind to fend for themselves. They are nurtured, managed, and optimized for better results. Blogging is said to be the ultimate means of interacting with technology and society. The challenges it presents are not merely limited to the technical side but also in creating a positive interaction with humans who make up the audience of a blog. This makes blogging unique from all other forms of interaction. Technology has become a necessary element of human everyday life. Its use is something that cannot be escaped from. Rather than avoiding it, users will do well to harness the use of technology specifically in promoting human interaction.